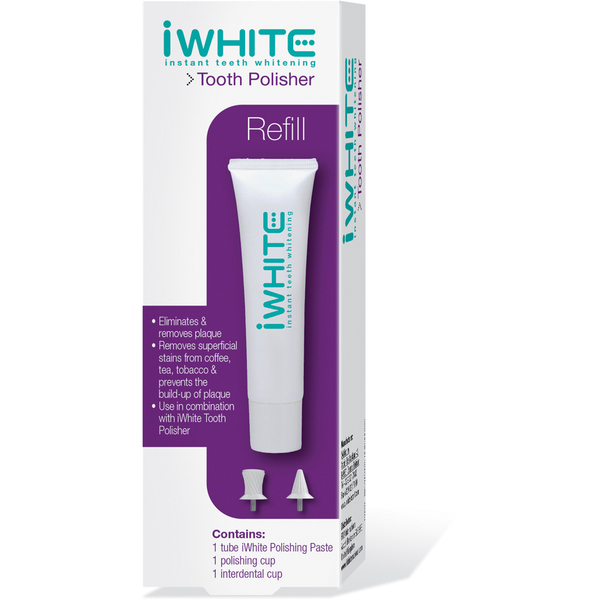 Continue to prepare and care for teeth with the iWhite Instant Teeth Whitening Polisher Refill. Used in conjunction with your iWhite Polisher, the paste helps enhance the teeth whitening process and contributes to the prevention and removal of plaque build-up and surface stains caused by tea, coffee and tobacco. 1 tube iWhite Polishing Paste (20ml). Use in conjunction with the iWhite Instant Teeth Whitening Polisher, replacing the paste as necessary. Do not swallow the paste.